For free time and walks in the city when the first sunny days of spring arrive. 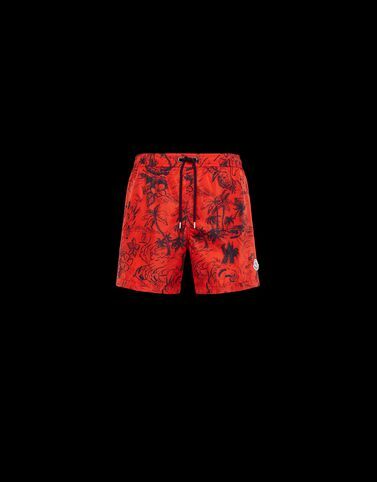 Swim shorts designed by Moncler in a selection of soft fabrics that support any movement and are personalized with Pop-inspired prints. Wear them in the summer with an oversized shirt to challenge the rules of classic elegance with personality.